TLC-Edmond is located in Edmond, Oklahoma on the University of Central Oklahoma campus. Our intensive English program is highly academic due to the fact that the majority of our students go on to a university to study. However, we teach reading, writing, listening, and speaking, which are skills necessary to learn a language. We have many other classes as well. 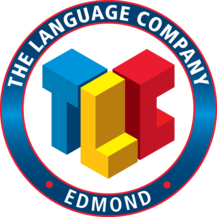 TLC-Edmond has hosted many special programs in addition to its regular English program. In all programs, our current minimum age is 12. A famous saying in Oklahoma is “If you don’t like the weather, just wait a minute.” That is to say that the weather changes frequently. In the fall, temperatures might range from 45 degrees Fahrenheit to 80 degrees Fahrenheit. In the winter, temperatures generally range from 20+ degrees Fahrenheit to 40+ degrees Fahrenheit. Spring weather usually ranges from 35+ degrees Fahrenheit to 65 degrees Fahrenheit. Summer can be quite warm with temperatures at 90+ degrees Fahrenheit down to 70+ degrees Fahrenheit if it is rainy. A student who is considering traveling to our school can call ahead to check on what clothing that they will need for their arrival or simply Google the temperature online. The main program at TLC-Edmond is the Intensive English Program. However, we also offer other Special Programs, such as the English for Professionals and Study Vacation Programs. We also develop private classes for students who want to study a specific skill in English. TLC-Edmond offers special work place programs for private companies that can be taught on-site with flexible scheduling.